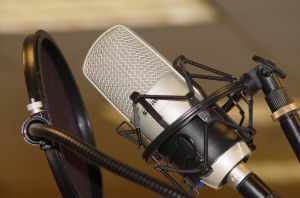 Last month, I was interviewed by the Women’s Radio Network (WRNW) about my Jacksonville law office and being a criminal lawyer in Jacksonville FL. I explained how criminal defense tends to branch out into other areas. For example, I began my career at the Public Defender’s Office in Duval County. As a Duval County lawyer at the PD’s Office, I spent most of my time representing adults in county and circuit court. Upon entering private practice, I started to represent juveniles on a regular basis in addition to adults. Being a Jacksonville juvenile attorney is much like representing adults with some differences. The procedures in Jacksonville juvenile criminal court are different from adult court and different rules apply. Also, children and teenagers are different from adults. It is important to explain things in a manner that they can understand, so they can make wise decisions. Criminal law often intertwines with Florida’s drivers license laws. The majority of Jacksonville traffic tickets are civil infractions, but this can easily enter into the criminal arena. If you receive too many Florida speeding tickets, you may end up with a suspended Florida drivers license. If you knowingly drive with a suspended or revoked license in Jacksonville, this is a criminal charge. When defending a Jacksonville habitual traffic offender case, I also have to be a Florida drivers license lawyer to help my client with his or her license and the criminal case. When I was a Jacksonville criminal lawyer at the Public Defender’s Office, I was a trial attorney for a variety of criminal cases ranging from petit theft to murder. Nevertheless, my representation did not include clearing the Jacksonville criminal record afterwards. Now, I have the opportunity to also concentrate of the aftermath of an arrest. Even if a person’s charges are dropped, an arrest record is still created. Many people do not know this. When Lisa Singer was interviewing me on WRNW radio, I was not brought on the show to focus on sealing and expunging Florida records, but Ms. Singer paid a lot of attention to the subject matter. She was surprised to know that a former criminal defendant may be able to erase an arrest from his or her record. When meeting with my clients about a criminal case, I bring up the possibility of sealing or expunging the record in Jacksonville FL. The ability to seal or expunge a record depends on the manner in which we dispose of the case. While you can dispose of your criminal case and then meet with a Jacksonville criminal lawyer about sealing or expunging your record, it is a much better idea to discuss this with your attorney in the beginning. That way your Jacksonville attorney can approach the case with the understanding that you want to seal or expunge the record once the case is closed. If you have been arrested or have questions about expunging or sealing your record, call (904) 564-2525 or send an email to Find a Lawyer.